In hiking and wilderness circles there's a well-known story about an inexperienced woodsman who thought he would try going au naturel in the woods, eating nuts and berries for the winter. Unfortunately, the cold, hard fact that you can't survive by burning more calories than you take in caught up with him after a couple of months. If you were to apply that lesson to system tune-up suites such as System Mechanic Free, they'd probably cease to exist in short order, since most of them don't speed up your PC enough to offset their own CPU and resource usage. 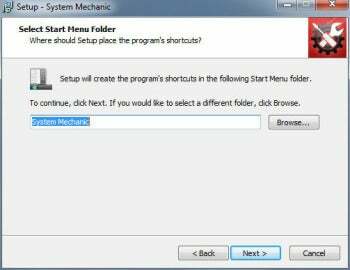 Colorful and efficient, System Mechanic Free's interface makes the program easy to use. If System Mechanic Free didn't spawn a background process (its service manager), I wouldn't have started this review with the caloric-intake analogy. The program does feature one of the most effective Registry scanners and file-clutter cleaners I've used: It spotted 41 problems that CCleaner and SpeedUpMyPC didn't catch, as well as a lot of junk files. It's capable of backing up your Registry, too. However, System Mechanic Free is also slow to boot, and it doesn't do much else other than tell you about what you can do with the $50 Standard or $70 Professional version of the software. The paid versions provides features such as security-flaw checks, secure erase, online backup, and antimalware functions. The plain truth of the matter is that with the advances in Windows Vista and 7, a little knowledge plus Windows' own tools and free software will let you do 85 percent of what System Mechanic--or virtually any other tune-up suite--will do. That said, System Mechanic Free does a better job of cleaning up junk than the free CCleaner does, so it can be useful for that. Afterward, though, you might want to uninstall it to remove the unnecessary background process. Note: Initially System Mechanic Free is a tiny download, but the installer will download nearly 30MB of additional files required for the installation. A great Registry and clutter cleaner, System Mechanic Free is useful--but it consumes time and resources itself.